If you always smoke, you will want to clean your carpet every three months. Nicotine resin sticks to carpet fibers, and bacteria stick to nicotine resin, making it a double-danger as far as health matters go. Kids are hard on carpets. It is just a given. They drop things, track in dirt, and spill their food and drink. Therefore, most cleaning companies recommend a minimum of three times per year if you have children. 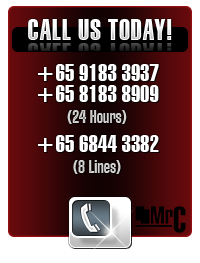 Most house cleaning services in Singapore recommend that pet owners have their carpets cleaned at a schedule of every three to four months to prevent germs, urine, and dander from building up. Carpet fibers (and fabrics in general) trap bacteria, germs, molds, and grime. Those pollutants stay in your carpet and get into the air of your home as you walk. Estimates of in-home air quality show that there are more harmful pollutants in your home than in the air of most major cities. Attention to your carpets, cabinets, and walls can prevent those toxins from getting into your lungs and causing sickness and infection. So if you own carpets or area rugs, at the minimum, have them cleaned twice a year by a residential cleaning service, commercial cleaning service, or even just rent a steam cleaner if you have to! Your lungs will thank you for it. 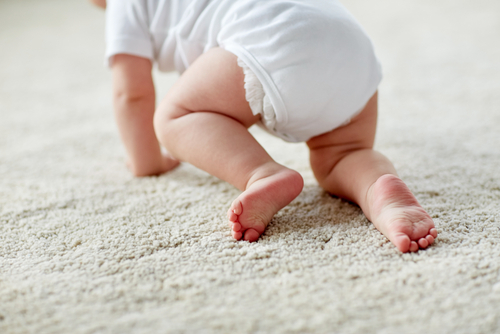 Carpets tend to hold everything in, including dirt, stains, odors, mites, hair, and dust. The only way to completely remove some of these items is through deep cleaning, no matter what kind of carpets you have. Usually, different carpets are handled differently. Several factors influence this. A crucial one is the carpet's quality. For example, cheaper carpets might not hold up as well to frequent cleaning as a wool rug. It is because every time the carpet is cleaned, the fibers are broken down a bit. Therefore, you can clean higher quality carpets more frequently. Lower quality carpets need to be cleaned less often. A crucial factor to be put into consideration when deciding how frequently to clean the carpet is how much dirt the carpet is exposed to. The carpets that are in areas with high traffic will need to be cleaned more frequently to prevent pollutants and dirt from accumulating that can contaminate your home. Frequent cleaning will also help the carpets stay looking good. 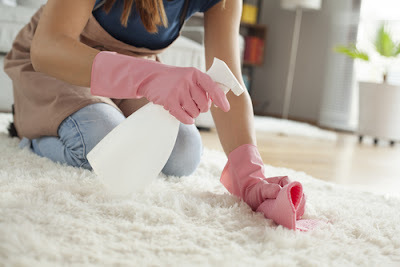 Therefore, it is vital to make sure that the high-traffic areas in your house have dirt-resistant and high-quality carpets that can hold up to frequent cleaning. You also need good quality carpets in areas with high traffic because if dirt accumulates on the carpeting, friction is generated between the carpet and shoes walking on it. Ultimately, the friction wears down the carpet fibers, accelerating the process of wear and tear. Good quality carpeting that has strong fibers can withstand the friction. So to avoid having to replace the carpet frequently, a high-quality one needs to be selected to begin with. In general, carpets should be deep cleaned at least once a year no matter what the quality of the carpeting is or how little or much dirt they are exposed to. If you happen to live by yourself and the only thing dirtying your carpets are environmental factors, then that should be sufficient. However, if you have kids or pets, you might need to clean your carpets more frequently. Depending on how much traffic the carpets receive, you might want to consider cleaning them every 6 or 9 months. If you smoke in addition to having pets and kids, it might be necessary to deep clean every three months, so high-quality carpets will need to be purchased. Keep in mind; carpets are meant to hide dirt. They are designed for that purpose. So when you happen to notice dirty or dark areas, by that time, it's probably filthy and in need of an immediate cleaning. However, it is better not to wait until the carpet has gotten to this state of soiling before cleaning to minimize the amount of wear and tear that results just from dirt accumulation. If you wash your carpets regularly, they will continue looking great and serve you for a very long time. Carpet is still one of the most popular floors that is available on the market. Nearly everyone has at least some form of carpet in their house and most people have mixed feelings about it. They love how it feels under their feet, but they dislike how it looks or stays clean. The truth about carpet is that it is a great floor if you maintain it properly. However, if it remains uncleaned for long periods of time, it can mat down and become dirty. 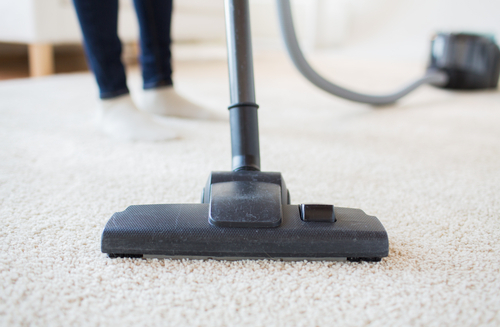 How often are you supposed to clean your carpets and what benefits does it give you? Let's explore the basics of carpet cleaning. Everyday people walk on carpet, and everyday some dirt and soil is released into the carpet fibers. Just because you cannot visibly see dirt does not mean it has not worked its way into the fibers. Continuing to walk on the carpet after it has been soiled will cause the soil to break down the carpet fibers. Obviously this will have negative effects for your carpet. Stain treatments will not be as effective and the texture will not feel the same. Getting your carpet cleaned will generally make your carpet look new again, which is another great reason to keep up on deep cleaning. Almost all carpet on the market today is made with heat-set technology, meaning the carpet fibers have a memory that will respond to heat. This means more is done then just removing soil when your carpet is steam cleaned, it is actually brought back to life. Having your carpet steam cleaned will expose the fibers to heat, causing them to twist themselves back together, making your carpet look like new. This only occurs when you keep up on deep cleaning your carpet, having it done on a regular basis. The most obvious reason to get your carpets cleaned is to get negative things out of your carpet. Even though it might not look dirty, some pretty nasty things can be trapped in the fiber of your carpet. Mold, spores, dirt, pet dander, and other unwanted things can be trapped in your carpet if you don't clean it. This can lead to an unhealthy living environment for you and your children. Cleaning the carpet will also improve the air quality of the rooms that the carpet is located in.